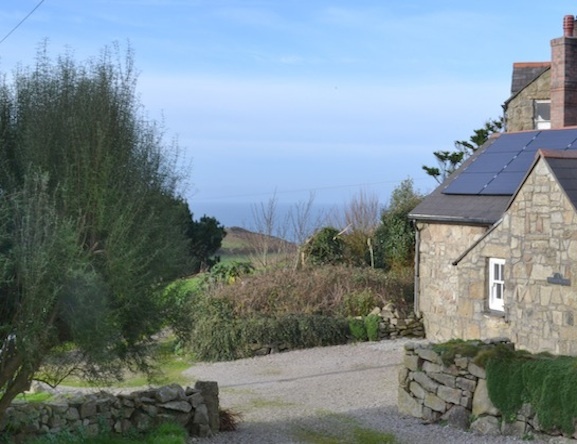 This lovely holiday cottage, traditionally granite built, is set overlooking Nanquidno Valley, near St Just, Cornwall with views to the sea and surrounding moorland. 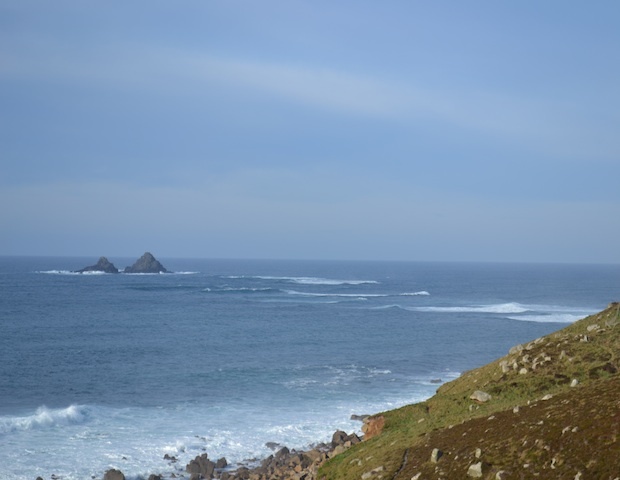 The South West Coast Path is a 10 minute walk. 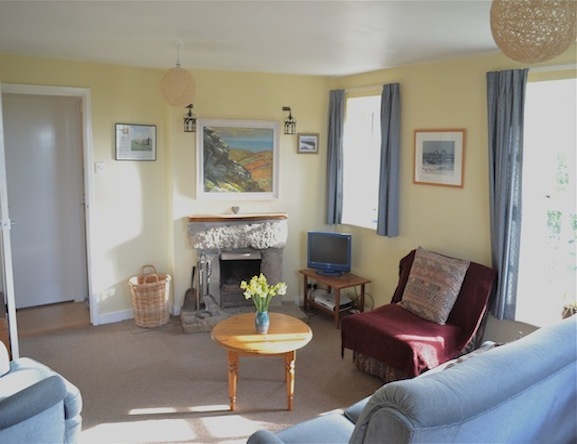 The lounge provides a comfortable space to relax after a day exploring and the open fire provides a special atmosphere when evenings become chilly. 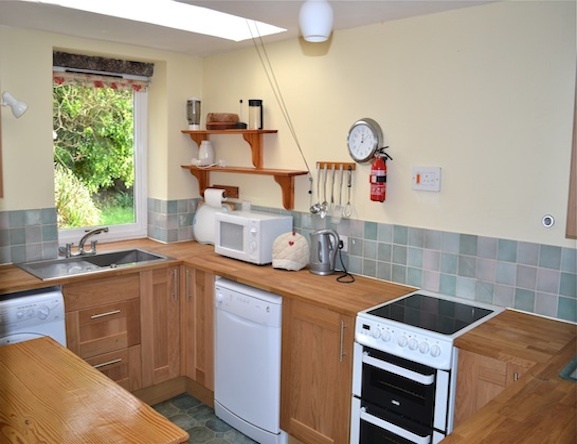 The kitchen has been attractively modernised and comes fully equipped including a dishwasher and washer-dryer. 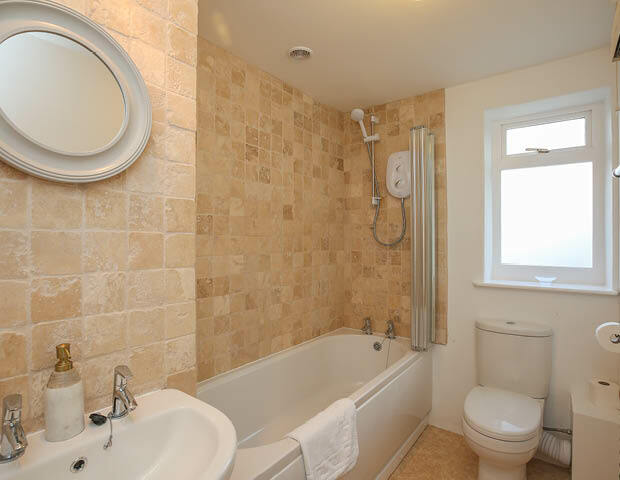 The bathroom has been recently refurbished and has a bath with shower, w.c. and wash basin. 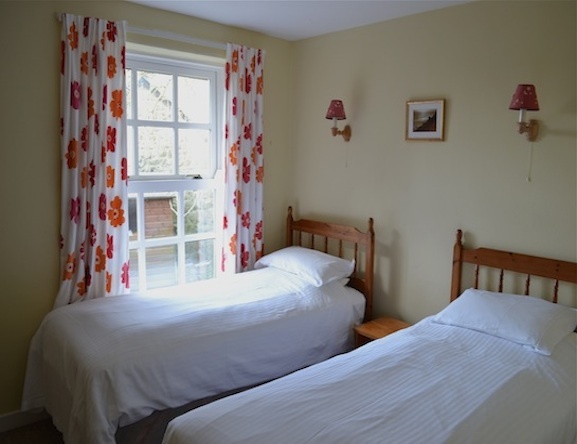 The bedrooms, one double and one twin, both have lovely views over the gardens. Bed linen and towels are provided. 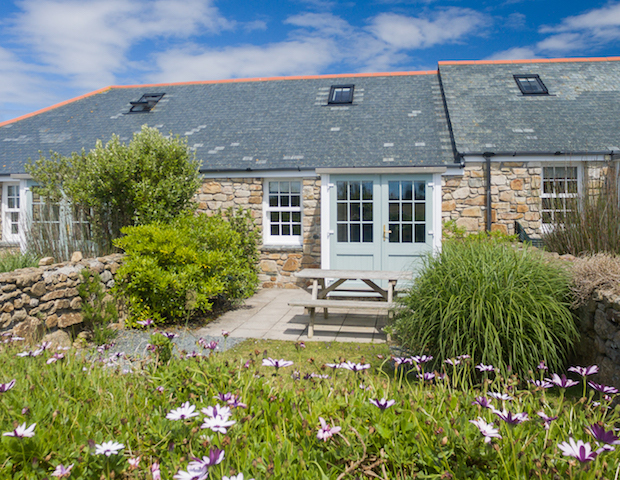 Outside there is plenty of lawn space for children to play and for alfresco dining to really make the most of the superb surroundings. There is car parking directly outside the cottage. 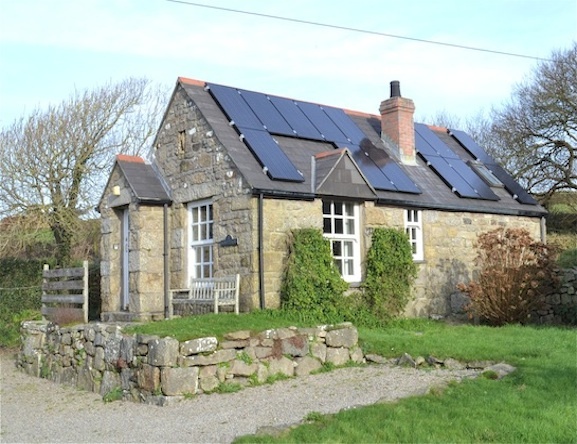 Electricity and WIFI are included and the PV solar panels make this an environmentally friendly place to stay. We have had a lovely stay and Nanquidno Valley is the most beautiful and peaceful place to spend a week. 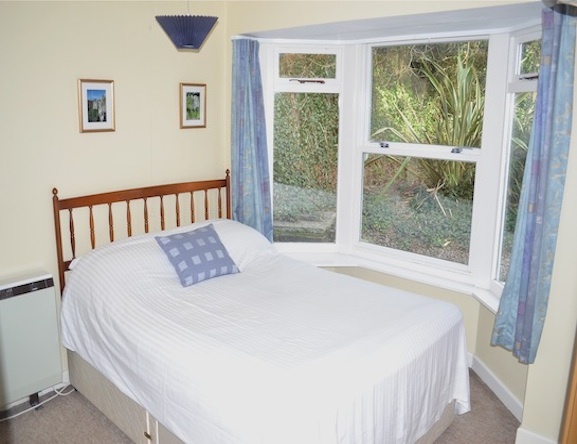 Bonython Cottage has been an excellent place to stay and explore the local area. 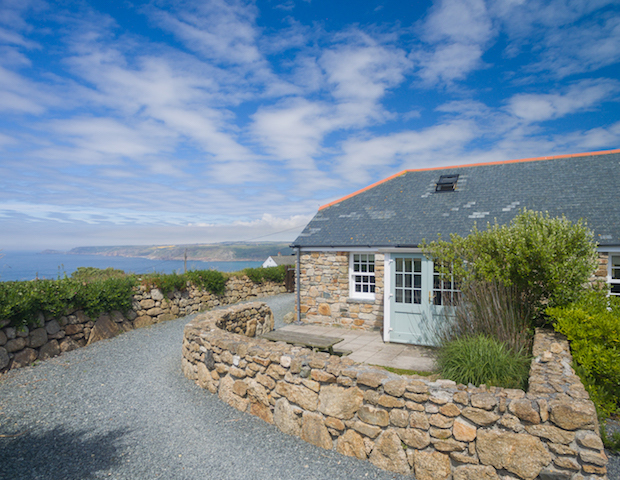 We have enjoyed the coastal walk to Sennen Cove and time browsing in St Just in the shops and galleries. Thank you. Our stay has been full of relaxation and recuperation and we have enjoyed the calm and beautiful surroundings of Nanquidno. We hope to return soon.